Ginkgo Search Partners is a leading boutique executive search firm with a main focus on the Greater China region. Our Hong Kong office serves as a regional hub and our executive recruiters are working on retained search assignments across a wide range of industry sectors. Our executive search consultants in Hong Kong are the premier executive search and leadership consulting partner to large and mid-sized corporations and fast growing startups who are eager to recruit the brightest executive talent to accelerate their business performance. Hong Kong shares its northern border with the Guangdong Province of mainland China and is highly dependent on international trade and finance. International businesses benefit from a well-established banking system, a strong regulatory framework, low corporate taxes, and close ties with mainland China. 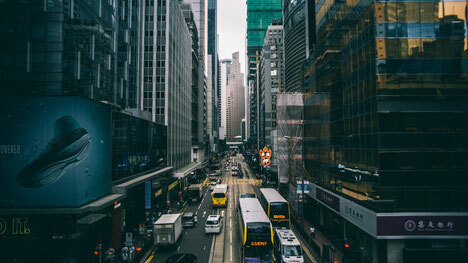 Our executive search firm in Hong Kong is centrally located in the Causeway Bay, one of the commercial centers in the heart of the Hong Kong Island, which enables us to work in close collaboration with leaders in Asia to deliver the highest quality executive appointments across the region. We are experts in identifying and recruiting the best leadership talent for our clients and act as a trusted partner for your strategic business needs. Our team of executive search professionals in Hong Kong provides executive recruitment services in all seven of Ginkgo Search Partners industry practice groups with specialist expertise in the following areas. Contact our executive recruiters in Hong Kong!